Big Cat Diary returns to the Masai Mara reserve in South-western Kenya, for another dramatic season following the lives of these remarkable lions, leopards and cheetahs, known to millions worldwide. This seventh series joins Jonathan, Saba and Simon as they return to catch up with the cheetahs, leopards and lions we have come to know and love. This year the programmes feature a host of new star cats. Toto the baby cheetah is just five weeks old. He's so tiny that he'd fit into the palm of your hand. 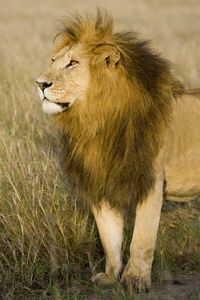 Vulnerable to attacks from lion, hyena and other predators, his chances of surviving Big Cat Diary are no more than fifty fifty. Astonishingly Bella and Chui, the leopards are still together. Chui is now a fully grown adult male and bigger than his mum. When will he ever strike out on his own?